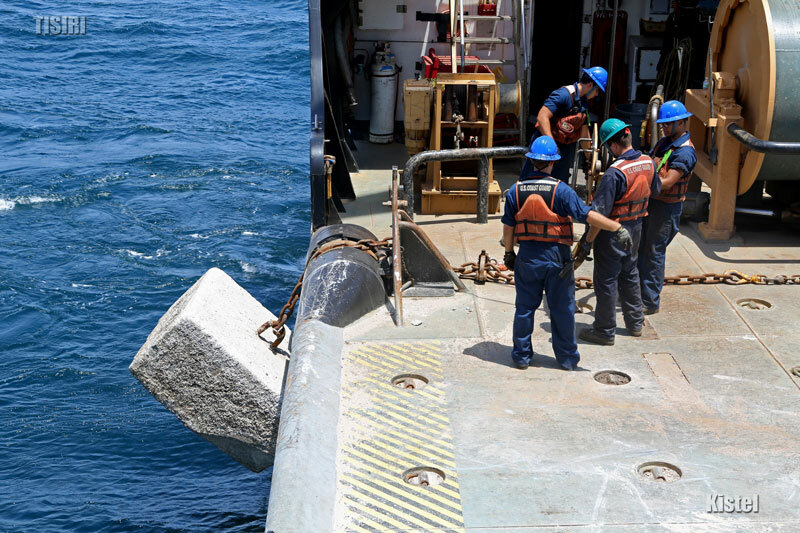 Several large concrete blocks were placed offshore the coast of Jacksonville and St. Augustine thanks to the efforts of TISIRI, the USCG Sector Jacksonville, and the City of Jacksonville. The blocks placed were actually former navigational aid anchors that outlived their service life. As opposed to discarding the large blocks, a plan to create a research reef was devised. This post is continued below the news video story of the project featured below. The reef was placed in a permitted reef area known as Floyds Folley which is roughly 12 miles east of the coast of Ponte Vedra. 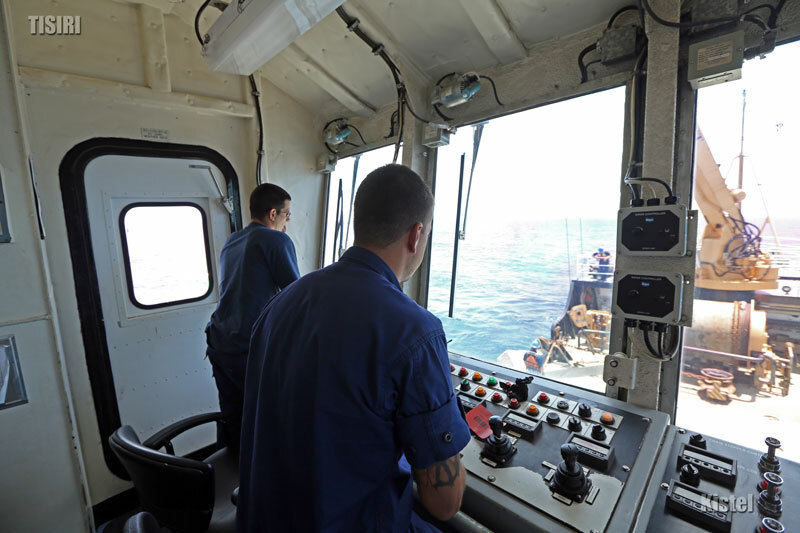 Two other large artificial reefs already exist here and an additional large reef is expected to be placed in this area later this summer as well. This small patch reef that we placed has been designed for research intentions. 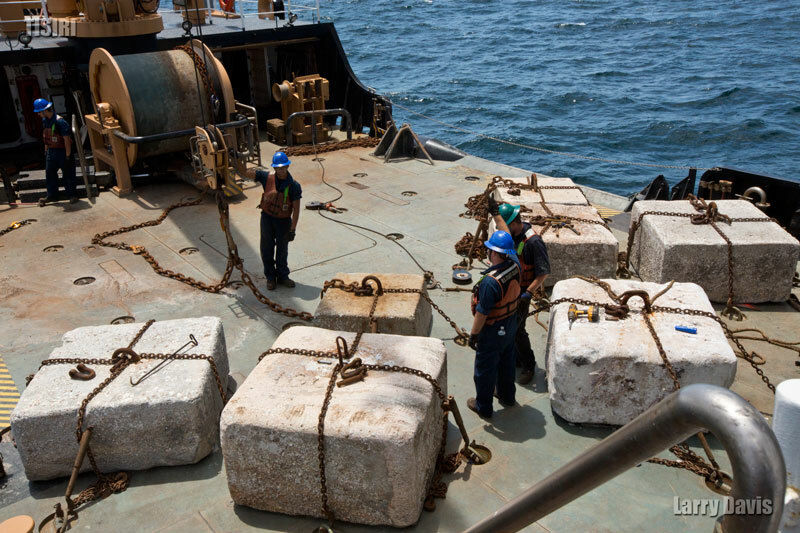 Thanks to the skilled crew of the USCG Sector Jacksonville Maria Bray the blocks were placed in a very precise grid pattern. Additionally each block is symmetrically shaped as a cube. These two features are ideal for scientific observational efforts. The small precise layout of the reef makes it a manageable area to fully observe, and the cube shape of the individual blocks are perfect for plot and grid type analysis. Researchers from the University of North Florida and Jacksonville University are looking into the vast research potential of this reef. 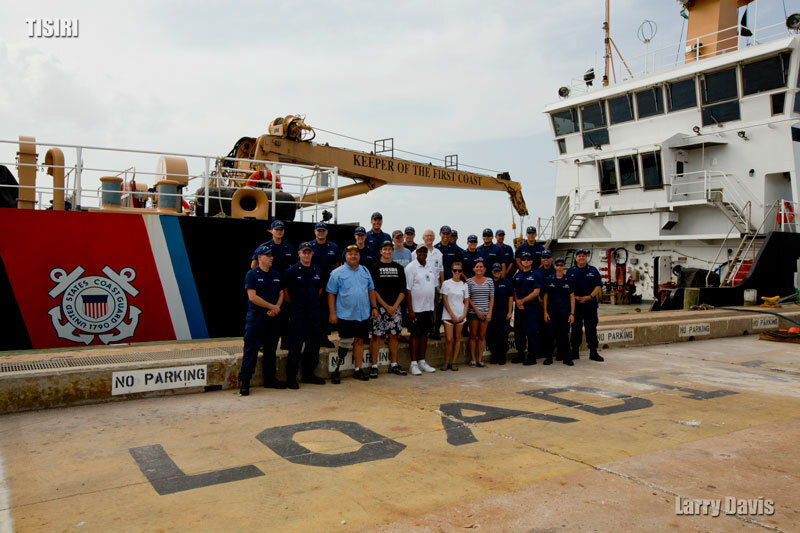 A big thanks to the United States Coast Guard Sector Jacksonville especially the captain (CWO3 Chris Cartwright) and crew of the Maria Bray. TISIRI divers hope to visit the site within the next couple weeks to capture initial imagery of the site and start designing research objectives.